The SMH reports on 2 large scale thin film solar power plants to be built in outback NSW using First Solar panels - AGL unveils Australia's biggest solar energy plants. 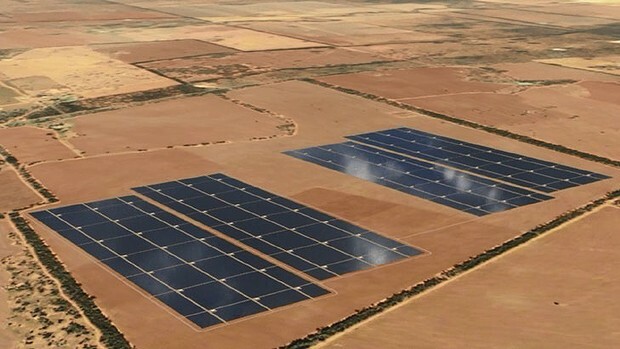 Australia’s biggest solar energy plants have been given the funding go-ahead, clearing the way for the installation of 2 million photovoltaic panels at two sites in the NSW outback.Power company AGL on Wednesday committed to proceed with the $450 million investment in the plants which will supply 50,000 homes with electricity and potentially pave the way for more such ventures. Nyngan, north-west of Dubbo, will host the larger of the two plants, with a 102-megawatt capacity, while a 53-megawatt plant will be built near Broken Hill. Both should be supplying power to the eastern Australian grid by the end of 2015.